Although I’m leery of creating pasta from scratch, I did learn to make gnocchi more than 35 years ago at a cooking school in Florence. That lesson paid off. This week’s attempt — gnocchi with goat cheese, instead of potato — was sublime. 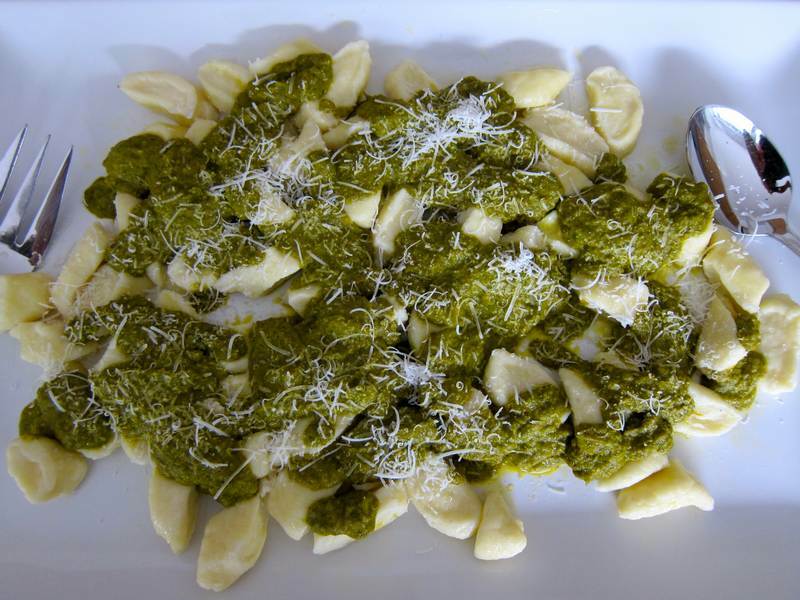 The lemony-broccoli rabe sauce marries so delightfully with the goat cheese gnocchi. They’re simply made for each other, a perfect pair. 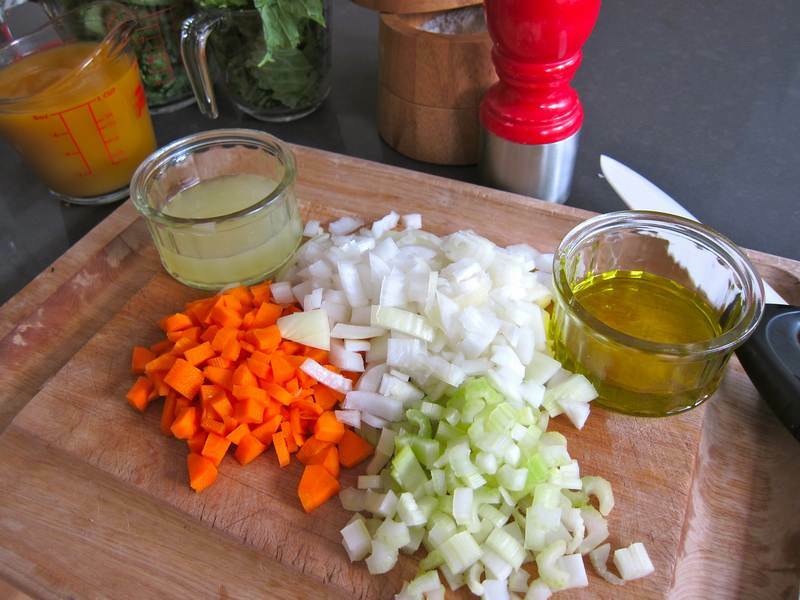 In a large skillet, over medium-high heat, heat the olive oil and sauté the onion, celery and carrot. Reduce the heat to low and cook, stirring occasionally, for 10 to 30 minutes to caramelize the onion. Add the broccoli rabe and just enough stock to cover. 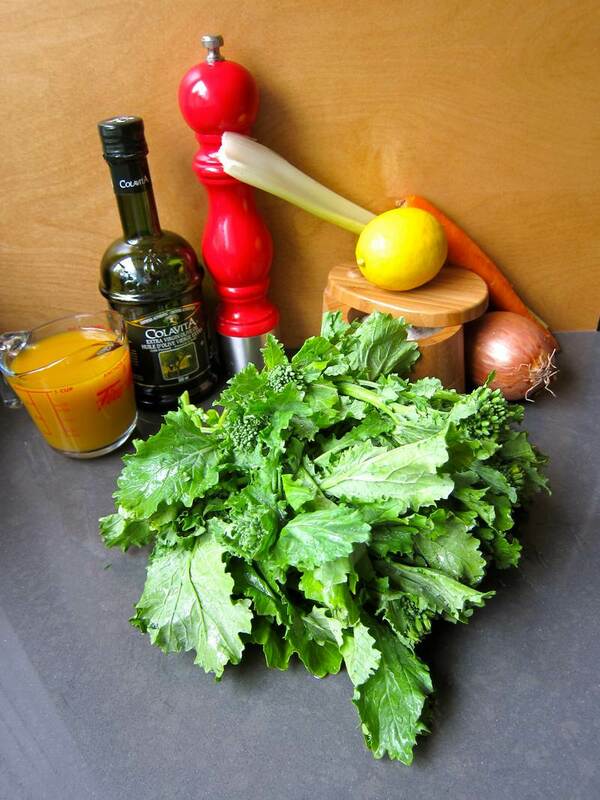 Simmer until all vegetables are very soft (test by pressing with a fork), then purée them in a food processor or blender, and add the lemon juice. Season with salt and pepper. Reheat before serving. With a big spoon, mix the eggs, salt and 1/2 cup of the flour into the chèvre. Gradually add flour to make a very soft, slightly sticky dough. Chill for 30 minutes. Bring a pot of salted water to a boil. Spread a small amount of flour on a cutting board. 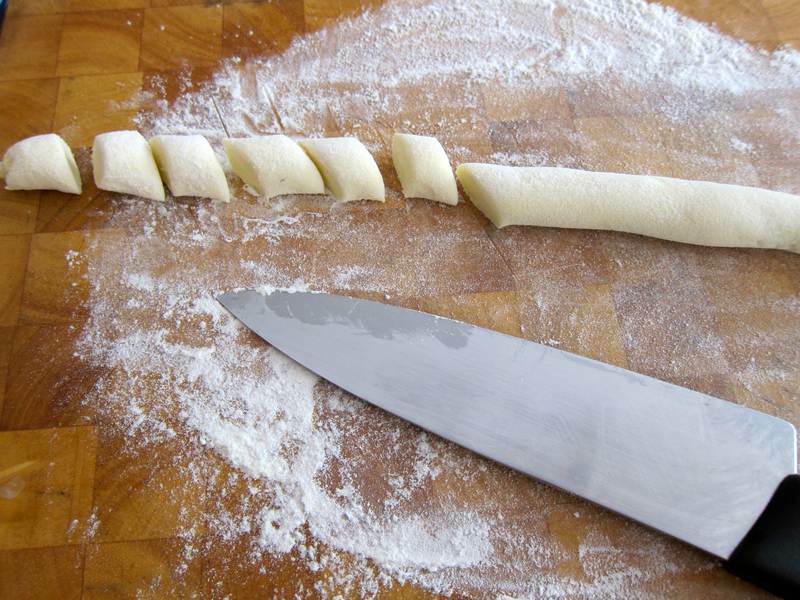 Scoop up a handful of dough and roll it into a long rope shape, at most 1 inch in diameter, then slice diagonally into bite sized pieces. 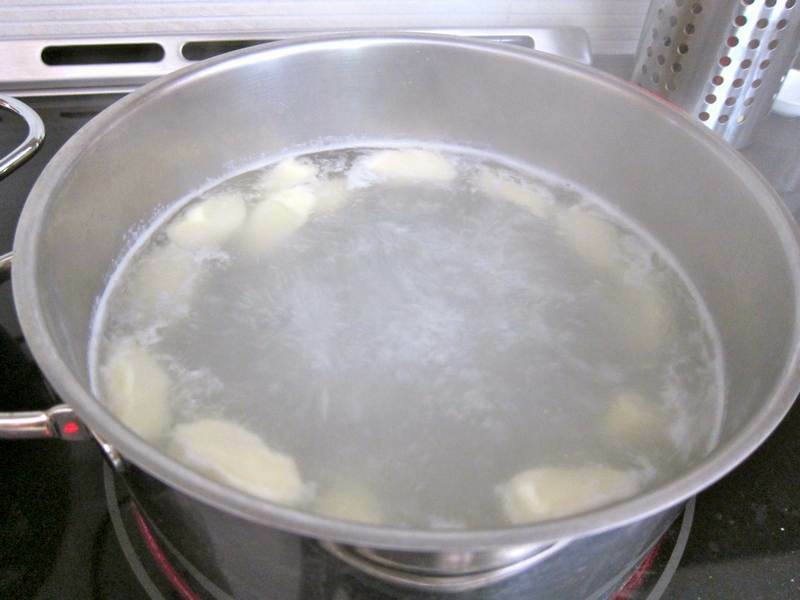 Drop 12 or so gnocchi into the boiling water at a time. As they rise to the surface, take them out with slotted spoon. Put the gnocchi into a casserole dish, then drizzle with the oil, shaking gently to distribute. Reheat the sauce. Carefully toss with the gnocchi, then top with grated Pecorino Romano. Serves 5. My co-worker and friend, Helen Lewis, proposed Robin Asbell‘s New Vegetarian book as inspiration. The publisher Chronicle Books gave me permission to post 3 recipes from this lovely book. Ain’t that grand! Have you been searching for advice on How to Eat Wisely? Here is information that you’ve hoped to discover: The Surprising Shortcut to Better Health. Thanks to friend and mentor, Cordon Bleu–trained chef, Essie Levin, for assisting the gnocchi preparation and for loving the dish. 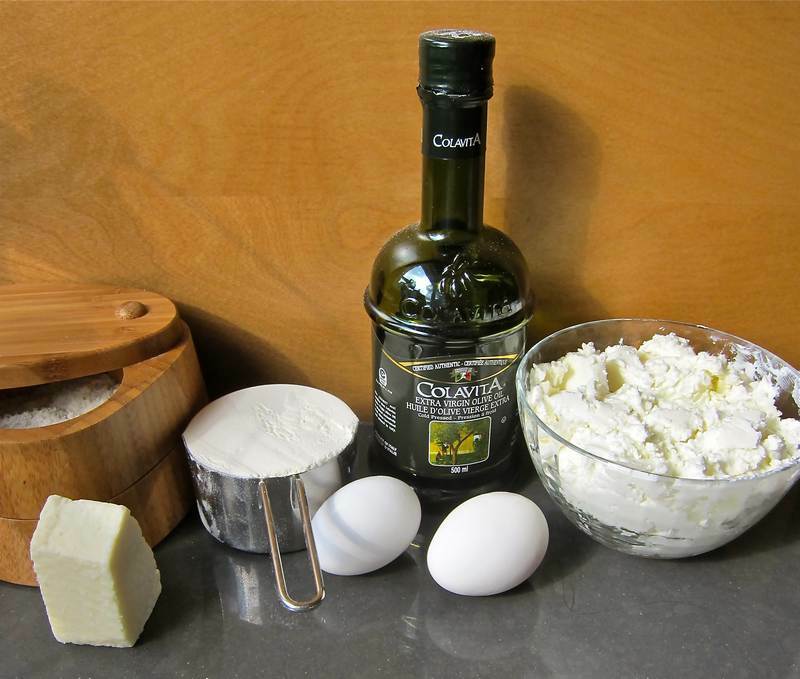 Enjoy this Goat Cheese Gnocchi in honour of the upcoming cheese holiday, Shavuot. Funny, I make homemade pasta all the time but am scared to attempt gnocchi! I did make the ricotta gnocchi from the Zuni cookbook a few years ago and, wow, yum. I think my next attempt should be these, though! If I ever attempted a recipe like this it would take a professional cleaning crew 2 days to put my kitchen back to normal. Do you deliver? I don’t deliver, but if you order in advance you can pass by for a sample! Yes, the clean-up was a bit harsh, but the flavour! Oh my!!! Ooh! Great combination! I’ve wanted to experiment with different types of gnocchi, as they’re soo delicious, but so far have ony tried the spinach and ricotta and an improvised pumpkin version. This is next on my list! I appreciate this prodcut as it takes a lot less time to make gnocchi now. What used to take me the longest was getting the imprint on it with a fork, but now with this, it takes a fraction of the time. Simply press your shaped gnocchi onto the board to get the gnocchi marks. The only negative is that the wood isn’t perfectly smooth. I didn’t want to wind up with splinters in my gnocchi But I didn’t have any problems.